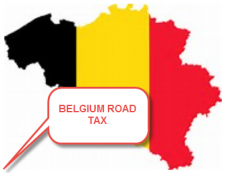 Kindly be informed that the Belgian State introduced a toll on their regional roads as from 1 April 2016. This toll will be implemented for the use of roads and motorways in Belgium and will apply for all vehicles, both Nationally and Internationally, with a maximum authorized mass of over 3500 kg. that the overall increase in transport costs will be around 8 % for transport on Belgian territory. To our regret same will have to be added to our transportation costs for transports within & en route through Belgium. In case of further questions please contact us.